Enjoy the best inspirational, motivational, positive, funny and famous quotes by Antoine Isaac Silvestre de Sacy. Use words and picture quotations to push forward and inspire you keep going in life! 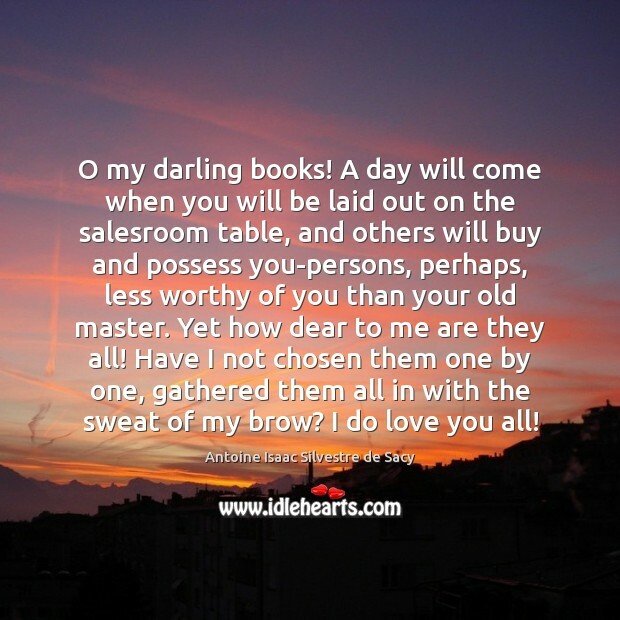 O my darling books! A day will come when you will be laid out on the salesroom table, and others will buy and possess you-persons, perhaps, less worthy of you than your old master. Yet how dear to me are they all! Have I not chosen them one by one, gathered them all in with the sweat of my brow? I do love you all!